Searching for the perfect wedding car? At Limo Hire Rugby, we have more than 30 different wedding cars for you to choose from. No matter what type of ceremony you are having, there will be a hire car available to suit your needs. For a grand, expensive wedding, the Rolls Royce Phantom could be a great option. This is particularly popular with Asian families as it is impressive, huge and expensive. To buy the car would cost around £250,000, making it one of the most expensive models in our fleet. Why not show off on your special day with our affordable Phantom hire? Another impressive model suitable for lavish weddings is the Bentley Flying Spur. This sleek, stylish model is particularly popular with modern weddings and it comes at a great, affordable price. There’s plenty of cabin space, ensuring any size wedding dress will comfortably fit in and its seats are made from sumptuous cream leather for maximum comfort. Or, if you’re looking to make a grand entrance why not opt for the Lincoln stretch limousine? This incredible limo oozes luxury and is sure to give you the big entrance you’re looking for. It’s one of the largest limos in our fleet and is perfect for lavish style weddings. If you are going to be holding a less formal, budget style wedding then the Baby Bentley could be a much better choice. It features a luxurious cream interior, air conditioning, colour changing twinkling lights and fully equipped champagne buckets and tumblers which are perfect for after the ceremony. Other great models to consider for more informal ceremonies include the beautiful Chrysler 300 Saloon and the Mercedes S Class. 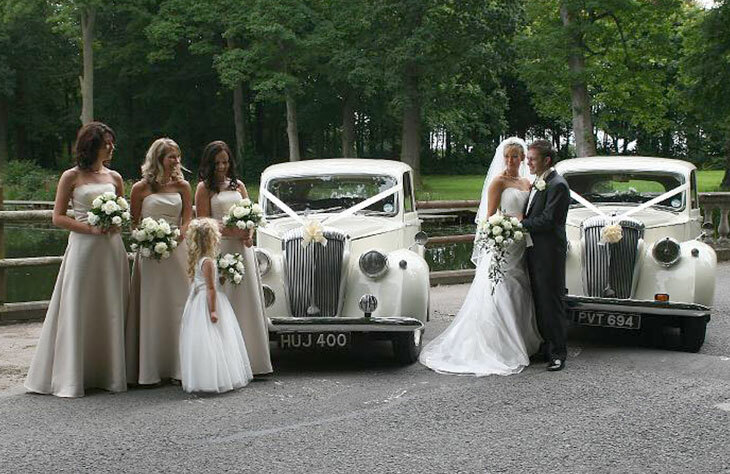 For the ultimate romantic wedding ceremony, the Beauford Tourer would make a choice. This classic wedding car is available in white or silver and it features a luxurious, romantic design. Or, why not consider the striking 1924 vintage convertible? Especially ideal for the classic car lover, this extraordinary car features unique contra opening doors. Other classic models to consider include the impressive Daimler limousine and the Daimler DB18 Saloon. No matter which wedding car you do choose, we will always strive to cater to your needs. Would you like music played on your way from the ceremony to the reception venue? Do you need drinks and snacks provided? Whatever your needs, contact us today to see how we could help you. 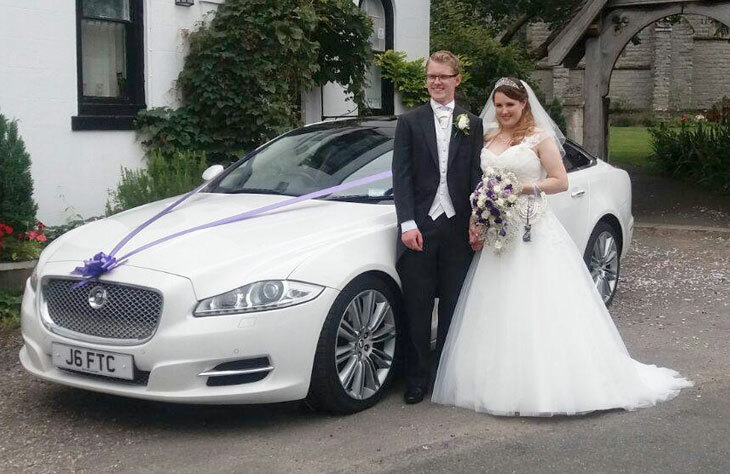 We have been providing wedding car hire since 1985 and our chauffeurs are second to none. Hand-picked for their experience and professionalism, our chauffeurs show up on time and ensure you have a relaxing and enjoyable journey. No matter what your requirements, we aim to please and we pride ourselves on offering offer the most affordable service available. Call us now to make a booking, or to learn more about our affordable wedding car hire packages. 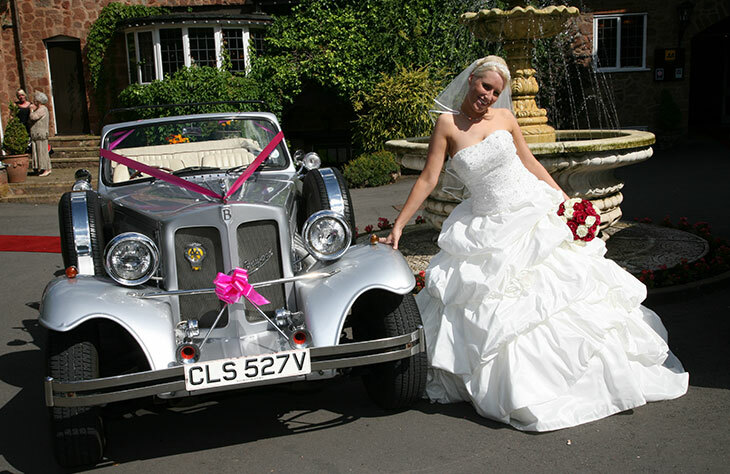 We can also provide wedding car hire Birmingham.